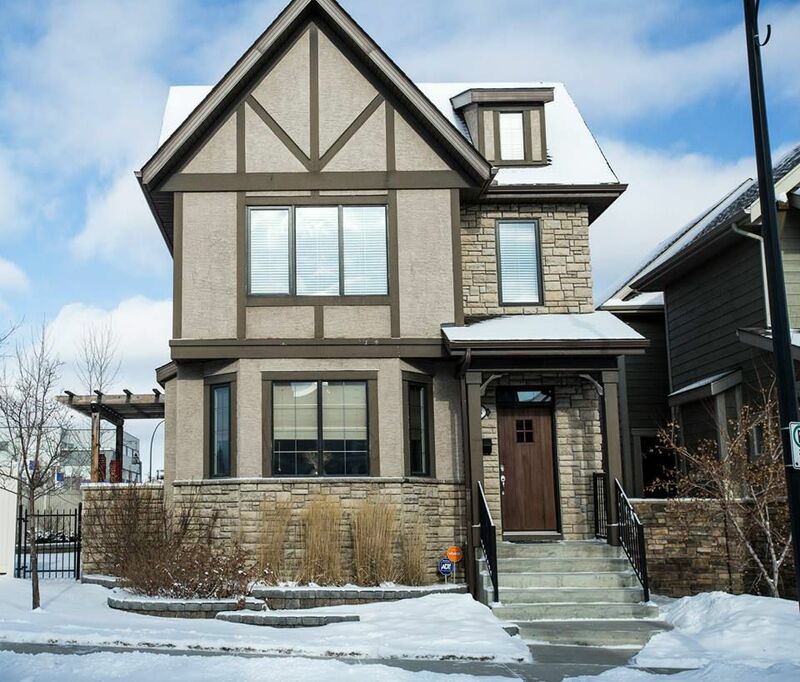 Spotless Tudor in Garrison Green, one of Calgary's most sought after inner city communities. This lovely home is located on an OVERSIZED reverse-pie lot at the end of the street with only ONE neighbour beside. You'll find quality & detail throughout with a SOLID WOOD front door, 9' ceilings, high end window blinds, A/C & upgraded carpet underlay just to name a few. 4 roomy bedrooms make this home ideal for a family of any size. The bonus room is so versatile, with skylights & it's own bathroom it can be used as a 5th bedroom, nanny suite, office or studio. The bsmt is professionally developed with custom built cabinets, work station & a fantastic wet bar complete with granite & glass backsplash. The yard is beautifully landscaped with mature trees, 2 patio's & a vinyl fence-LOW MAINTENANCE. Tons of storage with a storage closet in the garage as well as both a storage room & large storage closet in the bsmt. Walking distance to Mt Royal University & 10 mins to downtown. WORTH SEEING! WORTH OWNING!